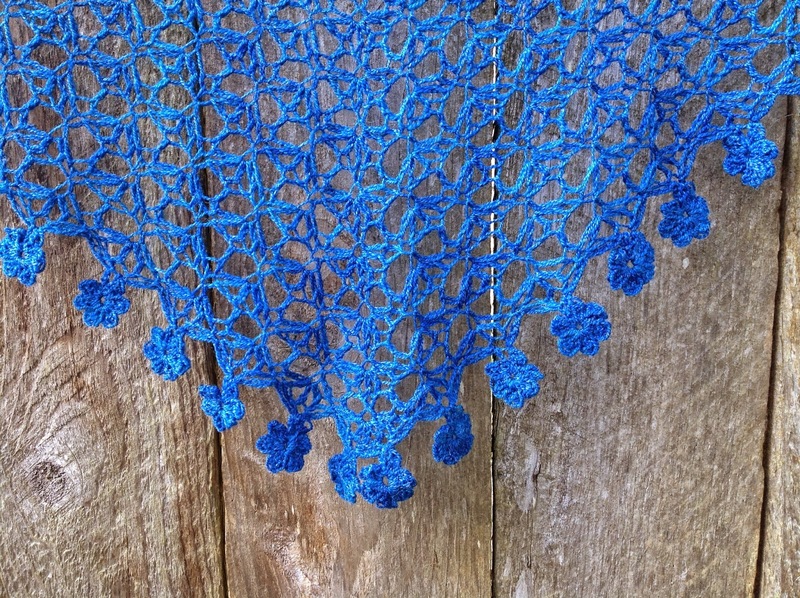 Like a spring breeze through new blossoms, the Forget-Me-Knot Shawl is an airy kiss of color around your shoulders. Stitched from lace-weight merino/bamboo, it is the perfect pick-me-up after hefty winter woolens. I am excited to present the first design in my new Hooked On Hand Dyed Collection. 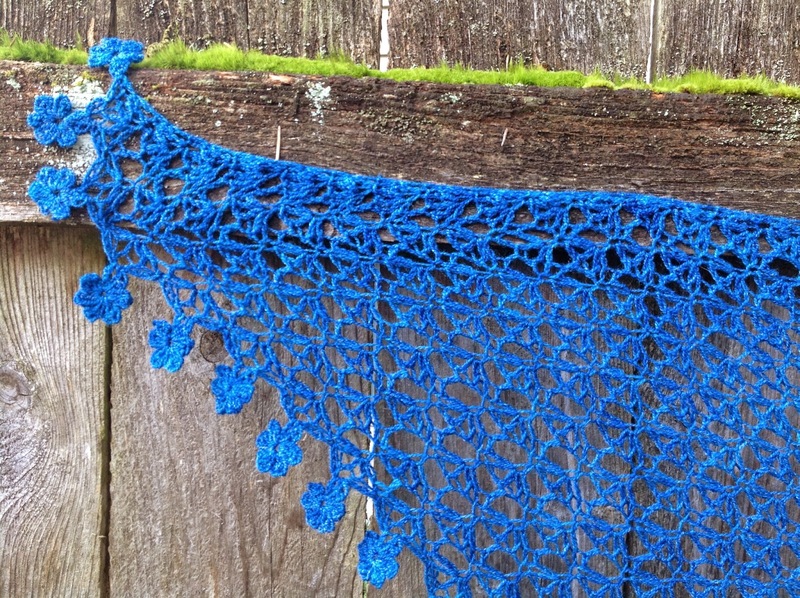 This delicate lace shawl is unbelievably lightweight, the perfect wrap for a cool spring day. 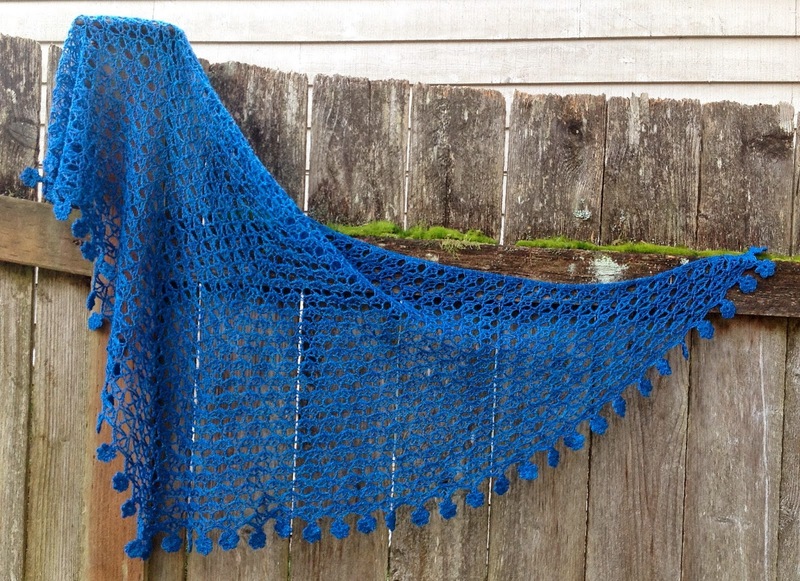 Worked from the center top out, this shawl is crocheted in Stitchjones Pai Mei Lace in a gorgeous deep blue on an H hook. The open lace stitches block like a dream in this 80% merino/20% bamboo yarn, showing off the simple but delicate pattern.